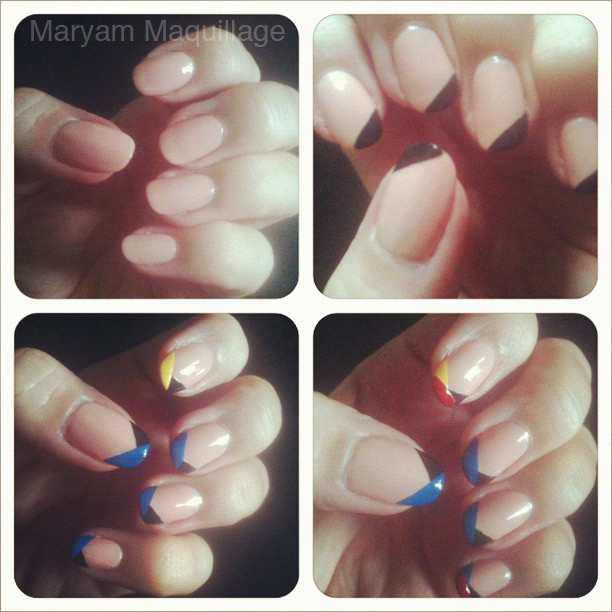 Hi guys :)) Today's post is a quick nail art and a pictorial tutorial through instagram and frametastic photos. 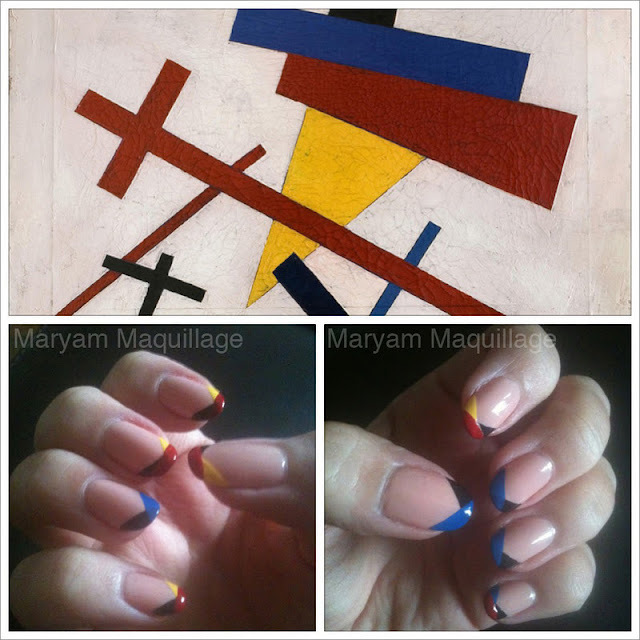 This nail design is a bit personal to me; I was inspired by Russian Avant-Garde Art (I'm on this whole Russian kick lately), and I wanted to create something that would be pleasing to my eye and personal taste. I hope you enjoy my take on this contemporary style as much as I was inspired by these thought-provoking abstract works. Read the rest for more ART and more NAIL ART!! This painting is by Kazimir Malevich, a famous Russian artist best known for his hugely successful work, the Black Square, and his signature geometric cubist style that pioneered the Russian Avant-garde Suprematism art movement (referenced above). The photo of the painting was borrowed from mcadenver.org. There's definitely something to say about these works; one cannot stare at them blankly without forming an opinion or having some sort of a thought-process. Art is meant to be interpreted individually, so it's a personal journey that we must embark on our own. so when are you gonna open your nail salon already?!!! You are so amazing chickadee! My nails are looking a hot mess right now. You have inspired me, LOL! These are awesome! I think it's interesting how you took your inspiration and applied it to your nails. Great work. This looks awesome, and so unique! Cool, colorful & creative claws - beware of this awesome creature. 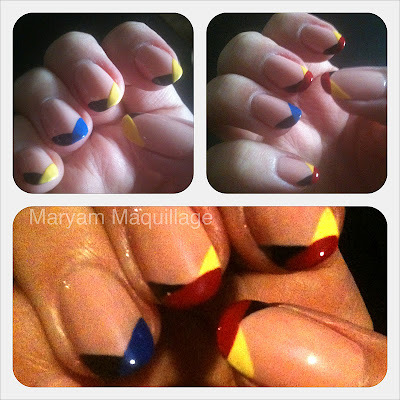 This is stunning, Maryam, what a great idea and take on a french manicure! That's a very pretty interpretation on your nails! You have such nice hands! This is such a great nail look. The art is great, the colors are fantastic and it turned out phenomenal! This is definitely something I would love to try but I know it will never turn out as good as yours. I SAW THE HANDS OF A BASHKIR ANGEL!!! THANKS FOR SHARING!!! Vow.. great nail arts. I like all of them very much. Thanks for sharing with all. Maryam, you know how I love art! Cool! You must have the most steady hand ever! Great inspriation! Great nail designsxxx love you blog am following you.